What is Godji berry ? Goji berry is a fruit which cleanses the body from toxins, helps the function of liver, gall and kidneys. It acts well for high blood pressure, reduces the blood pressure and cholesterol, protects from heart diseases. It is suitable for cooking different dishes –as a seasoning for chicken and fish,soups, porridges and sweets. The plant is eastern-asian and it is also called Wolfberry, Lucia(Lycium Barbarum/ Lycium Chinese) and “red diamonds”. It is growing in south-eastern Europe and Asia. The fruit is used at faint spell, dizziness, vertigo, tired eyes, glaucoma, tingle and even at diabetes. It rises the ummunity and acts well for skin. It stimulates cardio-vascular system and it is useful for stress. Goji berry helps the prevention of cancer too. Its fruits are rich in calcium, potassium, iron, zinc, selenium, magnesium, riboflavin, beta carotene and polysaccharides and a big amount of vitamin C. According to Chinese medicine this fruit balances Yin and Yang energies in our bodies. It influences well on metabolism, cleanses the organism and helps the reduction of body weight. Goji berry has a sweet taste. The fruits may be eaten always after the thermal treatment or may be soaked for tea. It may be eaten with musli , with oat flakes , with yogurt, with warm water for tea , added to cakes and desserts. It must be consumed by 30 gr. daily. You mustn’t eat it when you have diarrhea, gases and the swelling of an abdomen. If you are treated by chemotherary or radiotherapy, you may use these fruits for averting of reduction of the level of white bloody cells and increasing of the effect of therapy. The juice from Goji berry is very useful because of a big amount of polysaccharides in it and the great curative properties are prescribed to it. It is said to be an aphrodisiac and it helps problems with erection. -At gastritis and for the stimulation of digestion the fruits are consumed directly after the termal treatment. - For the reduction of blood sugar and blood pressure they are soaked and consumed with water. The recommended doze is 10-20 gr. daily for 3 takes. -The tea from lycia and chrysanthemum is recommended for improvement of vision and the tea from lycia and Chinese limonnik-for cleansing of liver. It is an unpretentious and easy for growing plant. If it starts once, Goji berry is grown easily. It grows in different kinds of soil. It grows in the shape but being under the sun it gives more fruits. You can grow it from seeds or you can buy ready young plants. It must be cut on the top in order to have more fruits. -Put 200 gr. of fruits in 1 liter of white wine or liqueur. It may be consumed in a month 1-2 times daily -25 ml. If you want you may add some candy. -Mix in the blender equal quantities of Goji berry, blueberries, cherries, apples, peaches and blackberries and mix them for some minutes. You may add a glass of fresh orange juice in order to be beaten easily. Sprinkle some pine nuts. -1/4 glass of soaked Goji berry , ½ tea spoon of grated orange skin, ½ tea spoon grated ginger, 1 date or 1 tea spoon of honey are mixed in the blender for getting the mixtire like jam. Mix with water and soaked Goji berry.You may add the fruit drink if you wish. -2 glasses of water are mixed with a glass of grated carrots and 2 table spoons of Goji berry (soaked for some minutes). Mix it in the blender for about a minute. Mix ½ glass of Goji berry ( soaked one hour) , ½ glass of blueberries or raspberries, 1 glass of mallow part of coconut or coconut shreds, 2 dates, ½ tea spoon of an orange skin. Add some juice from any fruit and turn the blender on. The received mixture is suitable for salad dressing. 2 sweet potatoes , coconut milk (a tin), Goji berry –by your taste, vanilla butter. Boil the potatoes, beat them in the blender with some water to get the consistency of a normal cream-soup. Pour in the bowls. Add some drops of vanilla butter and Goji berry. It is good to keep the coconut milk in the fridge in advance to be tight. Make small balls of it and put 2-3 in each portion. Don’t beat! You may add nuts or seasonings if you want. 5 eggs, 30 gr. of French cheese or parmesan , olive oil, 50 gr. of Goji berry, 3-4 fresh green hot peppers (chili), 3-4 fresh onions, 1 bunch of parsley. Put the eggs in a saucepan. After slight baking, add some parmesan and mix it. Add 2-3 table spoons of olive oil and go on mixing. Add cut onion, parsley and peppers round cut. Turn the cooker off and go on mixing.When the dish is going cool , add Goji berry. Cover with the lid. 1 egg, 300 gr. of flour, 300 ml. of milk, 2 table spoons of sugar, 100 gr.of butter, 1 baking powder, 1 coffee spoon of vanilla powder, 2 table spoons of chopped cocoa beans, 1 table spoon of dried Goji berry. Beat eggs, butter and sugar. Add fresh milk, flour and baking powder. Beat well to get a thick liquid mixture. Bake the waffles to be golden in the heated oven. Have them with honey or pine syrup. 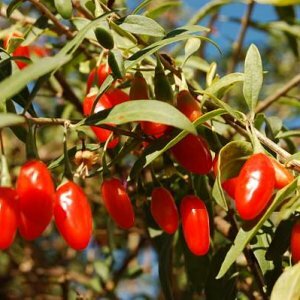 There are some interesting facts about Goji berry which you have to know if you are going to consume this fruit. Goji berry contains more vitamin C than any other known us products. The reseaches show that the use of Goji berry increases testosterone and thus libido of men. Another interesting fact is that this fruit helps more effective turning of food into energy than spare fats. Goji berry allows us to see better at night and improve our vision. It stimulates the production of digestive liquids and then the whole digestion. HOW TO LOSE 60 KG (132lbs) FAST? The author of the diet “Minus 60” is Russian Ekaterina Miramanova. After two unsuccessful marriages followed by divorces, she began asking questions what the reason was. She found it in her figure. Ekaterina managed to lose her weight with 60kg. Her weight was 120 kg. Now Ekaterina is a happily married woman who enjoys her new body. She called the diet which she had created “Minus 60kg”. She says that it is not a diet but the philosophy of life. Ekaterina took down 60 kg for 1 year as she notices-without destroying the elasticity of her skin! The diet “Minus 60” doesn’t pertain to the diets for quick slimming-sooner it is a way of life, which must be kept forever. As the adherents of the diet say : it is not difficult at all because the organism and the loss of dinner at the usual time don’t look fatal. Later on the problem disappears at all! What is important for this diet? You can eat everything what you want before lunch without limitation in quantity.So don’t think if you want to eat a cake or roast meat, tea or ice cream. To 12 a.m. your stomach can enjoy its life. Lunch at this regime of nutrition is about 1-2 o’clock-at this time you can eat vegetables stewed in a drop of vegetable oil as well as easy vegetable soups. Mayonnaise or sour cream are allowed to 2 o’clock in the afternoon . You can eat sushi or any sour dairy products. Dinner is the most responsible nutrition of the day. Firstly it must be finished to 5.30-5.45. Secondly the meals must be boiled or stewed with water, it can’t be fried.Thirdly some food is limited. They are divided into three groups of which you can choose one and combine it with a product from another group to cook your dinner. For example fruit is combined with dairy products : you can cut fruit salad and pour some yogurt in it making a wonderful dinner. Vegetables are combined with dairy products and grains: you can cook rice with vegetable salad: don’t forget that meat products and eggs don’t combine with anything else, but they can be combined in the frame of the group: you may eat boiled chicken and an egg. One of the quiestions gathered head for people who don’t dare to use the system “Minus 60” is what to do if you go to be a guest after 6 p. m. The answer is easy: take a bottle of dry red wine to decide the queation with alcohol. And ask the hostess to serve some cheese on the table. It is allowed to drink a couple of glasses of wine with some slices of cheese. The diet of the system “Minus 60” includes sports as well. Best of all to begin aerobics and pilates. 10.The principle of meat prefers boiled or roast , stewed or on the dry pan. 11. Only fish tins with fish sauce. 1.Potatoes, sweet potatoes and beans (not green) and leguminous as well, which are eaten without meat and fish products. 2. Frozen peas are allowed but not preserved. 3. Frozen maize or a maize on a stump. 4. Salty and soused vegetables in small amounts , it is allowed for different salads, sea cabbage, sour cabbage, olives and all salted vegetables. 5. Mushrooms and leguminous are in the group of allowed vegetables. Cut the fillet in thin slices crossly to muscle fibers. Fry frozen vegetables in oil stirring all the time. Add some slices of fillet and fry 10 minutes more.Sprinkle some ginger and add soya sauce. After boiling put some salt and black pepper. Boil some water, put some salt and turn down the fire. Chop the cabbage, cut peeled and washed potatoes. Put vegetables in the boiled water. Fry cut onion in oil, add cut carrots , fry them , add some cut tomatoes and water and stewed everything. Put the stewed vegetables in the bouillon , add bay-leaves , salt and pepper. What is the diet itself? The diet has a principle of divided nutrition. Different food is eaten for two days but one must eat the same kind of food during these days. 2 days potatoes, 2 days chicken, 2 days salads ( fresh vegetables , roast, steamed), 2 days fish, 2 days fruit and 2 days only yogurt. Thus the organism is used to get the same food and only one enzym takes part in its degradation. The diet goes on 12 days and it’s good to be repeated again! Unlike more other nutrative regimes this diet has a golden rule to consume the least of calories in the morning and in the evening (to 7 p.m.) one can eat more. The diet is for 7 days, 4-7 lb. will be lost. Every day one of the offered variants for breakfast, lunch and dinner is chosen. Everybody who needs cleansing the organism can use this diet with tomato juice. 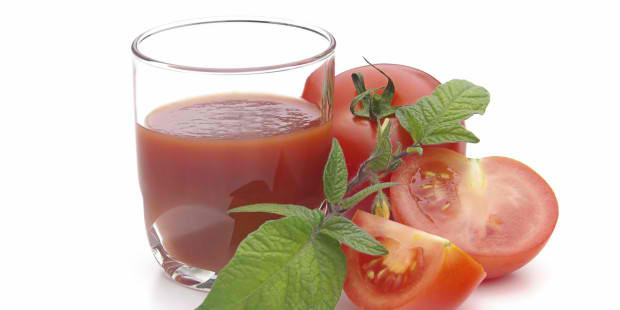 The tomato juice is one of the most useful juices. It helps slimming and cleanses the organism from fats, and you’ll avoid cellulite with this diet. The juice contains acids which are necessary for metabolic processes in the organism and it is rich in sodium, potassium, magnesium, calcium. When you buy tomatoes, choose fresh, without wrinkled skin. Tomatoes must be kept at the temperature 10-13 degrees C .
Fruit, puree and juice from tomatoes are useful for diseases of stomach –intestinal tract, accompanied by low acidity. The tomatoes influence well on the function of the cardio-vascular system. It is not recommended for people suffering gastritis. The tomatoes contain antioxidants which make the process of getting old slower. 100 gr. tomatoes have 17 calories which are among the foods suitable for diets. Masks with grated fresh tomatoes are used for grease and flabby skin of the face. Tomatoes are included in the anti-diabetic curative diets. We recommend you to drink 2 cups of tomato juice a day. It will assure ½ necessary doze of vitamin C and A. In order to make 2 cups of tomato juice ½ kg. tomatoes are necessary. The diet can be kept not more than 2 weeks. 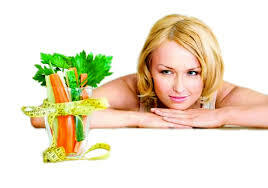 The regime of nutrition which we offer is suitable during the fasts, you’ll cleanse the organism from toxins. Breakfast: a cup of tomato juice, two slices of rye bread, smeared with cottage cheese, a fruit. Lunch: a cup of fresh tomato juice, 100 gr. of boiled rice, vegetables, 100 gr. of roasted fish. Dinner: roasted chicken chop. The stuffed tomato-cut the top of the tomato, mixed its contents with crumbled defatted cheese, chopped garlic, basil. Little salt and fill the tomato with this mixture. A cup of tomato juice.